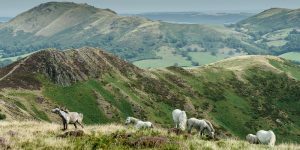 Well the obvious answer is clearly Shropshire, but we reckon the Shropshire Hills AONB is one of the country’s best kept secrets. As beautiful as the Lake District, with walking and mountain biking to rival the Brecon Beacons and as much history and culture as the Peak District. All that and without the crowds of people. 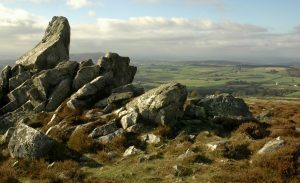 The Shropshire Hills area was designated an (area of outstanding natural beauty AONB) in 1958 and is an area of approximately 310 square miles in SW Shropshire. 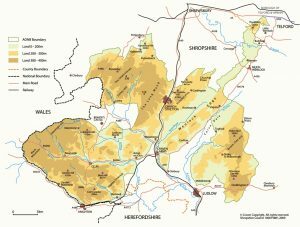 Smalls town nestled within include; Church Stretton, Bishops Castle, Clun and Much Wenlock, with Ludlow and Shrewsbury on its southern and northern tips. Nearly everywhere here feels off the beaten track and tranquil, while still being a living and working place. Where better to relax and unwind or get a bit of inspiration?